But it’s been January that’s changed my life. Nineteen years ago, I became a Christian on a weekend that epitomized God’s love in a way I’d never experienced and breathed the beginning of true transformation into my heart. Thirteen years ago, Greg surprised me with a marriage proposal. I said yes, obviously, and we were married later in 2002. Life-changing news isn’t always good, but I was diagnosed with diabetes 11 years ago. 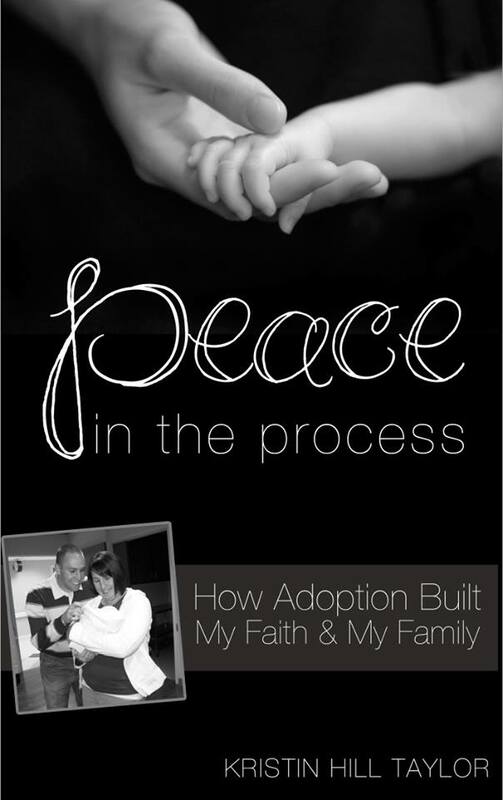 In honor of this, “Peace in the Process: How Adoption Built My Faith & My Family” will be on sale for 99 cents, starting today and continuing through the end of the month. This ebook is my story. It’s the story of so much brokenness redeemed in ways only God can do. Yes, January is cold and dreary. But God redeems and makes new. And that’s reason enough to celebrate. 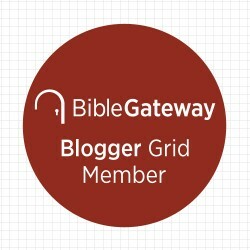 I'm joining others for the weekly Soli Deo Gloria Gathering as well as Holley Gerth's Coffee for Your Heart and Jennifer Dukes Lee's #TellHisStory. 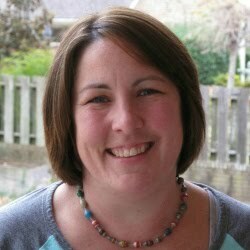 I'm also linking this post with Hearts at Home's Blog Hop at Jill Savage's place. This month she's talking about starting fresh, which is what January reminds me to do. January is one of my favorite months, but I think you have better reasons. I haven't seen your header for awhile ... it is so great. Ohhh I loved reading your adoption stories just now! We are living through some of the negative side effects of closed adoption right now. It sounds like ya'll did at least semi-open if not open. I see the wisdom. We love adoption. Thanks for your email the other day, Melody. I haven't been on the computer much lately to read yours posts and respond. I'm looking forward to reading more, though! Ours were open, although it's not what I expected to want. Of course, God had a plan that was so good for us and these kids. Thanks, Glenda! Glad you're here! Feeling dreary today, overwhelmed with so many things to do...so many things left undone yesterday. I so need this reminder: Yes, January is cold and dreary. 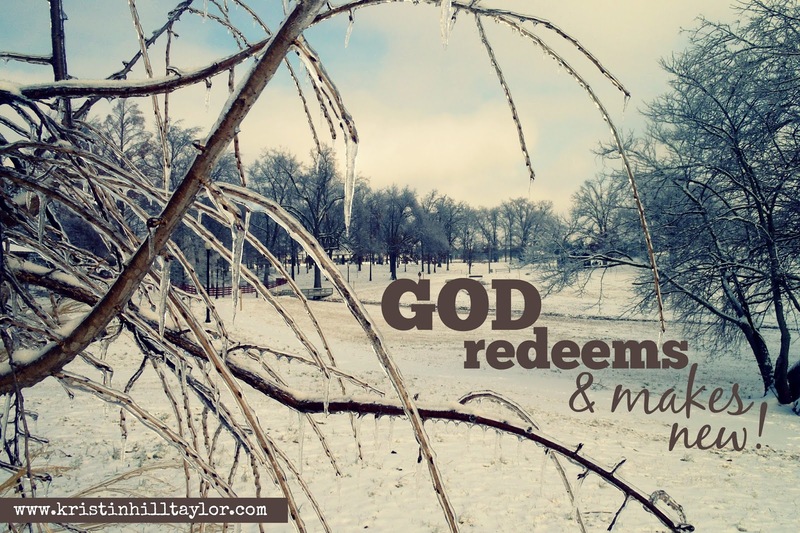 But God redeems and makes new. And that’s reason enough to celebrate. Thank you sweet friend!! I'm glad you were encouraged, Britta! I have to remind myself regularly that seasons change. Thanks, Stephanie! I'm glad you visited. I am beginning to appreciate January much more, too. Because January is a dormant month for most things. And dormant means rest. It's a good reminder for me to look outside and see most everything resting because this is the season God keeps telling me I am in. And I am one that needs lots of reminders. Good thing I have a lot of windows! I just love how all these things happened to you in January! What a cool story! I loved reading here today, Kristin and learning a little more about your story. So good to have bumped into you on the interwebs through #ThreeWordWednesday and I hope we can bump into each other in real life soon. Blessings to you! Thanks, Jen! I'm glad our paths crossed too. You're a sweet encouragement. I really like the image of windows, even in this dreary time of the year. And I love you being here, sweet friend. Not sure how I missed this post. And I'm realizing maybe I've missed a few. :( But I saw your link on FB regarding Diabetes so it brought me here today. Cheers for January!! Every time I read your diabetes story it makes me want to write about my son's journey. I started a list of topics to write about so I must add. Love you, friend. I've heard bits of your son's story, but you know I'd love to hear the rest of it. :) Yeah, January has been quite the month in my life! I'm always glad you're here, Beth. Love you, sweet friend. Hi, Mindy! I'm just seeing your comment for some reason. I hope you enjoyed your blogging break and you know I'd love to have you back for #ThreeWordWednesday.